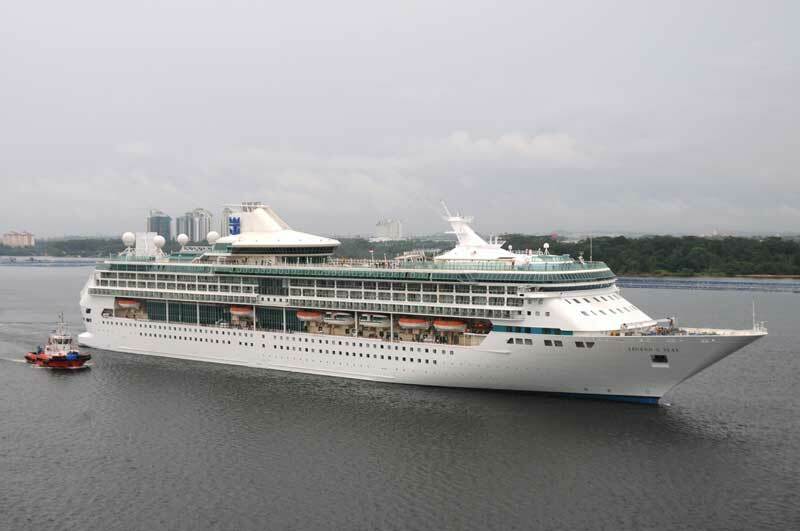 Royal Caribbean have announced that the 69,130 ton Legend of the Seas is to home port in Singapore throughout the summer of 2015-2016 and then sail from the Australian city of Brisbane for a five month period in the winter season. The ship will sail down under starting in 2015 and ending in 2016. This will make Legend of the Seas the largest ever cruise ship to sail from Brisbane. The ship will also sail through the Brisbane River which will offer a great experience to guests. Legend of the Seas will join Explorer of the Seas, Voyager of the Seas and Radiance of the Seas which will also be sailing to Australian destinations at the same time. Guests choosing to sail on the ship in Australia will also be able to take full advantage of the ships latest features thanks to its recent dry dock refurbishment in February 2013. the ship will join mariner of the Seas when it sails from Singapore in the winter season. Before Legend of the Seas will begin its new Asia-Pacific deployment it will have to make a juicy transition starting from Fort Lauderdale, Florida in April 2015 and then sailing westbound through the Panama Canal and a cruise from Hawaii. The bookings for this and the new year round service from Singapore and Brisbane will go on sale from May 21st 2014. This is now the second ship Royal Caribbean have announced will redeploy to the Asia pacific region. The worlds second largest cruise line also recently announced that the upcoming cruise ship Quantum of the Seas will start sailing from Shanghai, China in 2015. This is a major shift towards the region which is one of the fastest growing cruise markets in the world.